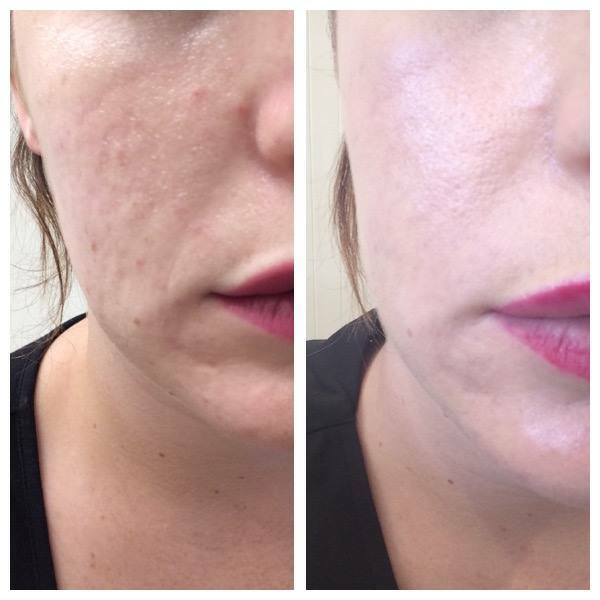 Scarring the remains after acne can be emotionally distressing and the treatment options can be confusing and may not offer the promised results. It is important to define the type of scarring so that the best treatment can be recommended. These scars look darker than the surrounding skin and are more common in those with olive-black skin types. This type of scarring is best treated with prescription skin lightening therapies. These scars are paler than the surrounding skin and look like white patches. They are more common on the cheek. These are very difficult to treat and the main form of therapy is to fade the background skin. Occasionally cosmetic tattooists can fill the whie patches with skin-coloured ink. This is the most common form of scarring and results in shallow depressed scars. Treatments include, CO2 laser resurfacing, INFINI radiofrequency treatment, medical needing, subscicion and dermal fillers. These very narrow scars are very deep and do not go away with conventional therapy. The best treatment is to remove the scar with a tiny medical blade (under local anaesthetic) which results in a smooth flat surface when healed. Up to 10-20 scars can be done at any one time. Medicare rebates apply. These scars are medium depth and depressed with sharp edges and responds to CO2 laser resurfacing. A full medical skin consultation with our doctor is required before we undertake any treatments for acne scarring. Medicare rebates apply.